Sailing San Blas, a trip that you won’t forget! 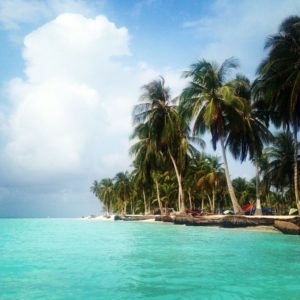 When you think about sailing, the first thing that comes into mind might not be sailing San Blas. However, after this trip, you will definitely associate sailing with these mesmerizing islands situated in the Caribbean. They are a piece of paradise that you will not soon forget. The archipelago of 365 islands belonging to Panama has a beauty that far exceeds what can be seen in pictures or videos. If you decide to sail to San Blas, the experience and the beauty of the islands will definitely impress you. If you opt for sailing from Panama to Colombia, then sailing San Blas will most certainly be included in your itinerary. You can spend your time on the islands relaxing and exploring the surroundings at your leisure. Just imagine yourself laid back on a hammock with a book or a cocktail in your hand, swinging between the wonderful coconut trees, or perfecting your tan on the white sandy beaches. It seems like a dream destination, right? The only way to know for sure is if you sail to San Blas. The trip will surely not disappoint you. If you are more into exploring the crystal clear waters, sailing San Blas will offer you many activities that you will enjoy. All of the boats are equipped with snorkeling gear. This means that you can grab a snorkel and dive into the warm Caribbean waters and explore the underwater world. Who knows? Maybe you might find some ruins, maybe a shipwreck or even a lost treasure chest. If you do not happen to find these things, the colorful fish in the waters will be a delight to your eyes. And if snorkeling is not your thing, then you can always go for a swim or just have some fun in the water. The thing about sailing San Blas is that you can never have enough of it. You see, there are 365 islands in the archipelago, one for each day of the year. With every trip that you take to the islands, you discover something new. So, it is safe to say that nobody truly knows the islands. Probably the locals do, though it is quite difficult to believe that they have managed to see all of the islands. I guess that San Blas adventures are truly a magical place that has many great things in store for both locals and tourists. Who knew that this beautiful piece of paradise was hidden in plain sight in the Caribbean? I guess the people from Panama. However, do not worry because it is never too late to visit them. By sailing the islands, you will get to know their beauty.